Name of the Couple : Rekha yadav and Kailash yadav. Profile of the victim : Rekha 16, was the daughter of Brijlal a taxi driver in Mumbai, was the resident of Nibiha village’s Koirana area in UP. She was having a illicit relationship with her neighbor Kailash yadav. The accused : Her mother Geeta. Date of Murder : 23rd July 2010. 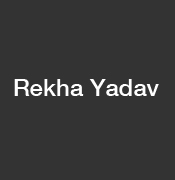 Assassination : “Rekha was having an affair with his neighbour Kailash Yadav and she was caught in a compromising position with him several times by her mother Geeta,” police said. He said that Geeta asked Rekha to mend her ways, but the latter continued with her relationship with Kailash. “On July 23 night when Geeta found Rekha in a compromising position with Kailash, she lost her temper and in a bid to save the family’s prestige hacked her daughter to death,” he said. Geeta, while confessing the crime, said she had no remorse for killing her daughter.